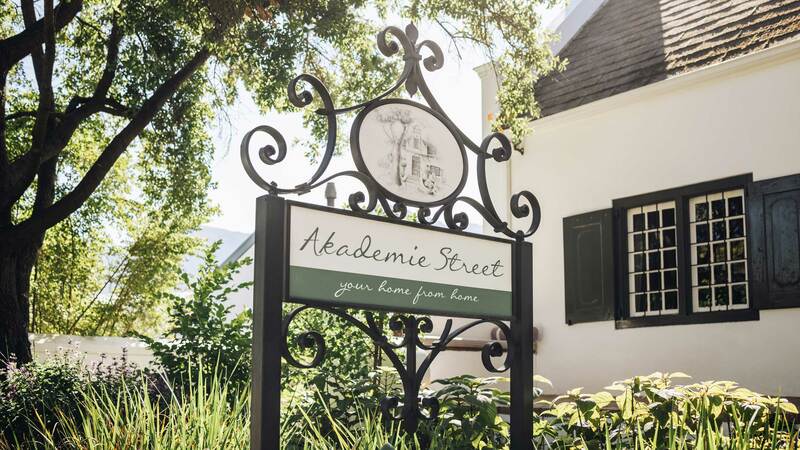 Akademie Street Boutique Hotel is a luxurious home from home in Franschhoek, the heart of the South African Wine Valley. 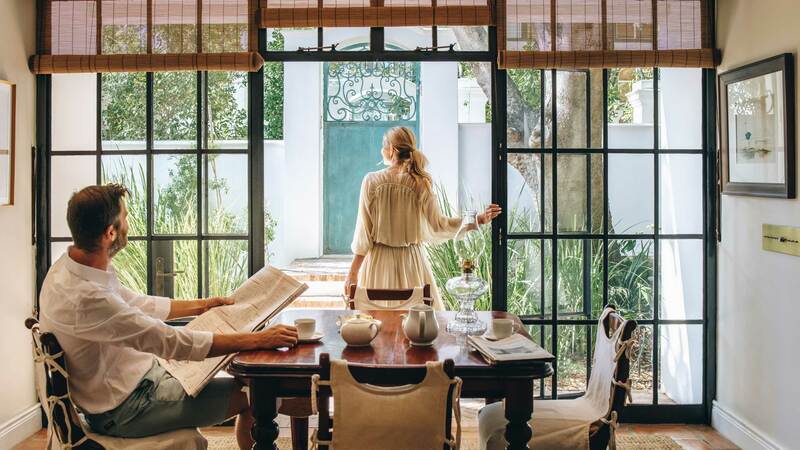 9 individually styled suites in 4 peacefully situated cottages provide a blissful base from which to explore the landscapes, vineyards and chef’s tables of South Africa’s Culinary Capital. Hospitality and comfort lie at the heart of the Akademie Street experience. Our luxurious property, complete with wood fired hot tubs and fragrant landscaped gardens, is designed to be a haven of sumptuous tranquility with attention to detail throughout. The discreet, personal service is warm and welcoming, attentive and unlimited. From organising wine tours, to providing low-key conference facilities, serving a perfect sundowner or setting you up for the day with our legendary breakfast, the experience is bespoke, indulgent and truly unique.